Dental decay and damage are often completely unavoidable. Even if you practice the best hygiene habits, you may still end up facing the consequences of multiple cavities. The team from Affordable Dentistry and Orthodontics offers dental fillings for Dumfries, VA, patients to help them restore complete oral health. 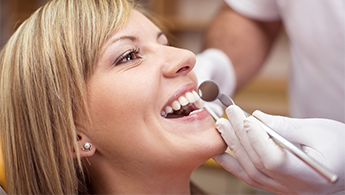 If you suspect that you are in need of teeth fillings, you can look to us to provide thorough examinations that identify all points of decay. Even the most minor forms of tooth damage can make it difficult to perform oral functions comfortably. If you find that chewing and speaking are causing pain, you can depend on us to help improve the state of your afflicted teeth. Our dental filling dentists have spent the last 14 years expanding their knowledge and experience. By undergoing additional education, they remain updated on the latest advancement and improvements in restorative dentistry. By tailoring all of our treatments, including dental fillings, for the needs of each individual patient, they have continued to help our practice earn a reputation for personal and professional dental care. Set up an appointment with our dental filling dentists to learn more about treating cavities and cracks! Use this convenient contact form to get in touch with our office today. We provide restorative services for Dumfries, Montclair, Stafford, Manassas, Quantico, and Triangle, Virginia.